Home World Trump changed strategy too soon … can still win. All the hysteria on both sides over President Trump’s decision to provide an intermission in the government shutdown versus border barrier funding is misplaced. This game is not over, and neither side should be calling the outcome. This was not – at least not yet – a capitulation on the part of the President. As I opined in other commentaries, Trump may have seen this as bringing the shutdown back from the edge of crisis, getting the federal workers pay up to day and appearing to be flexible on portions of the standoff. He could also get his State of the Union Speech rescheduled. 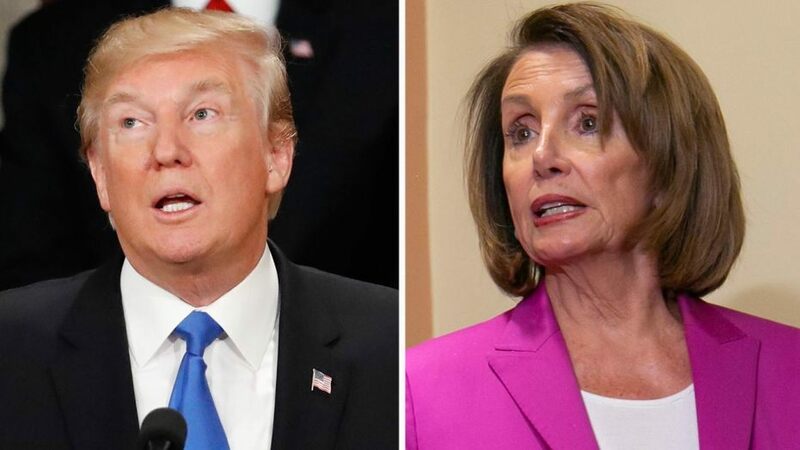 If House Speaker Nancy Pelosi continues to stonewall the wall and refuse to negotiate in good faith, it could leave her and the Democrats in a more vulnerable position in the next round. On a more ominous note, there have been widespread reports that Trump’s support in the Senate was about to collapse – meaning that Majority Leader Mitch McConnell would allow a Continuing Resolution (CR) bill to go for a vote without Trump’s $5.7 billion – and that there were sufficient Republican defectors to override a presidential veto. That may be more wishful thinking on the part of the press than a reality. Despite the reports, no more than one or two senators seemed to be open to bolting on the issue. Unless Trump had compelling information that he was losing Senate Republicans, he was mistaken to call off the shutdown – even temporarily. Yes, the problems were growing, and the pressure was building, but that is exactly what Trump needed to redirect the pressure onto Pelosi and the House Democrats – and least 19 of the 235 of them to vote with the House Republicans on a bill that included the $5.7 billion Trump requested. So, what is the path forward for Trump? The first consideration is what Trump should NOT do. He should not declare a national emergency. He should even stop threatening it. He does not get a clear win out of that because the action itself would be controversial. He would be taking appropriated money from other departments and agencies, and that is a problem. Also, the issue would drag on for some time in the federal courts. It is likely he would win that legal battle at the Supreme Court level, but things would be needlessly chaotic in the interim. It is not an issue as to whether he has the power to declare a national emergency. He does. Every recent president has declared them – and often for issue far less serious than border security. We are currently living under 31 national declarations of emergency – one going all the way back to President Carter. Trump was getting closer to that point before he agreed to a short-term reprieve. The chant, “give him his money” was growing in the public and even among left-wingers. Re-opening the government unfortunately put off the day of reckoning and moved things closer to the 2020 election – that period in American politics where nothing rational is likely to happen. And what about the issue of McConnell and the Senate GOP crumbling? If there desertion of the President is really a possibility, Trump has already lost the battle. In some ways, he may have been better off to let that play out during the shutdown. At least he would not have gotten the blame for caving. The reason that I believe that enough senators will not actually override a Trump veto is because those that do drop their re-election chances to the low double digits.